This year, I’ve decided to do a similar tribute to 45 wonderful women that I’ve come to know via social media. Social media has a way of connecting people that is very unique. Some of these people I’ve never even met IRL but they still have brightened my world. I’ve loved sharing some of the stories of these amazing women in my Friday’s Featured Female Series but today, I wanted to give my own small tribute. I’m aware that just because you “know” someone that doesn’t necessarily make them your friend but I also know that each one of these 45 women mean something to me. Carolyn, Melissa, Maribel and Heather of So Cal Lady Bloggers: I met all of you at BBC Vegas (when I practically knew no one in Los Angeles) and knew not one thing about blogging. You were all so very welcoming not only as a transplant but into the blogger universe. Thanks for bringing me into the fold early and helping me feel a part of my new home turf in more ways than one! AJ and Chris, you two snarky women got my humor and not only helped me as a newbie blogger (and continue to do so) but you became my friends. You both are ridiculously smart and funny women who not only make me laugh constantly but you both never cease to amaze me with your viewpoints on life and how to live it well. 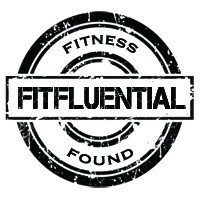 Roni, you created FitBloggin’ and it introduced me to what I consider to be “my people”. I can’t thank you enough for bringing people like Melissa K, Jill, Erin, Carrie, Brittany, Kimberly, Schnelle, Kelly, Kia, Shannyn, Stephanie, Tiffany, Tammy, Jesica, Sarah and Danielle (and I’m sure I’m missing a few so forgive me) into my life. A shared love of fitness might have brought you all into my universe but there’s is something about each and every one of you that makes me want to keep up with you. I may not keep up with all of you on social media as much as I’d like but when I get the chance, each one of you give me something – hope, motivation, peace, inspiration, recipes, product recommendations or just a laugh that reminds me how lucky I am to have you in my universe. To BlogFest, which solidified my admiration for Jamie and Alyse as health-oriented women who continue to bring education and community together. Without BlogFest 2014, I might not know about powerhouses like Shannon and Tasha. To my East Coast contingent that originally fueled my love of fitness and social media – Christine, Theodora and Jess. Allie, I don’t know how I found you but I’ll thank the fates for being one of the random bloggers that I happened to come across and just fall in like with. You are like my sister from another mister and I can’t tell you how happy I am to have found you. To Josie, Alana and Cynthia, thank you for showing me that love of Duran Duran never dies…..and can still be considered somewhat normal. Music (and social media) can actually bring people together. Nicole and Lori, I’m thrilled that social media allowed us to connect via our shared devotion to all things music. Tamara, Debbie, Jody, thank you for showing me and other women that aging not only brings along wisdom, humor, character and strength (physical, mental and otherwise) but unbelievably beauty of spirit and accomplishment as well. Jennifer, Karen, Sam and Kim, thank you for remembering that I’m a Registered Dietitian in addition to a blogger and utilizing me as an expert in nutrition. Elizabeth, Carla, Lisa and Ilene, I don’t know how you do it but you all inspire me and intimidate me at the same time. You each have an exemplary way of expressing yourselves with words that make me want to be a better person and a better writer. There are more than 45 women on the list but I just couldn’t help it. 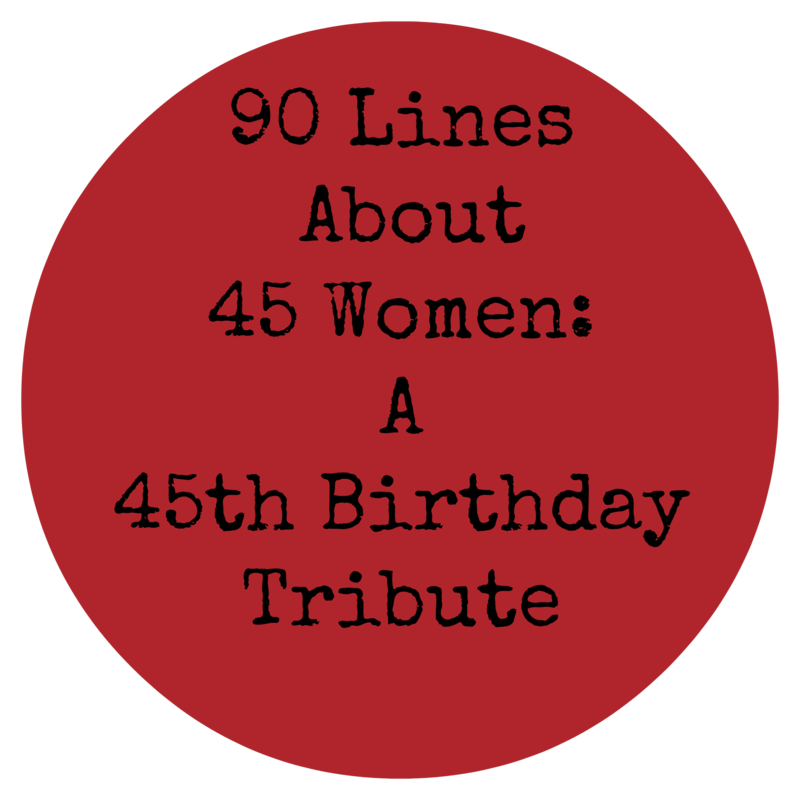 There were about 25 more women on this post originally and because I was stuck on 45 for my 45th birthday I did my best to get as close as possible. I hated cutting people out of this post. I like to let people know that they make a difference. Most people don’t realize the effect that their words and deeds can do to someone. Telling people that they make your heart bigger, your love deeper, your inspiration higher and your willingness to give even more exponential is something that should be told and heard more often. I’m chronologically a grown up (an ancient one at that!) but I’m still growing up and because of the people listed (and many others past, present and future), I know that I will continue to grow and grow smart, strong and wise. I’m thankful for all of you and hope you know that you are very special people indeed! I think I can speak for everyone else… but the inspiration and friendship that you receive from all of the people you mentioned, you give back ten fold. I hope that makes sense, but you are an amazing friend and we are all lucky to have you in our universe as well. <3 <3 <3 And have a spectacular birthday!!!! What a wonderful salute to women and their friendships! I’m honoured to be included and am so glad we’ve had the chance to meet in person (as well as ‘virtually’). I love this so much and not just for the honor of being included. This whole post is really a testament to who YOU are as a person and what YOU give to all of us. You were one of the very first people in the bloggy world to help me out and show me the way. Since those first days we have become best of friends even though we’ve only actually seen each other a handful of times. How many people (women especially!) have that type of relationship? I’m so grateful to know you and only hope we can turn those “handful of times” into more and more as the birthdays continue! HAPPY BIRTHDAY my friend! May you enjoy many, many more to come!! Love this and what I love more? Seeing where we are now compared to 8 years ago with those tiny little babes. Thank you for including me. Thank you for taking me along this journey with you! Oh, melissa – I still lack the right words to express how much I appreciate you and your friendship on so many levels!! Ditto everything Allie said, can I just leave it at that?? We definitely need to celebrate your birthday when you’re here! Happy, Splendid birthday to you, Melissa! May you live to see many, many more! What an incredible way to celebrate your birthday!! You are such an amazing person!!!!!!!!!!!!! Thank you!!!!!!!!! We must hug at ExpoWest!!!!!!!!!!! Thanks Melissa you mean the world to me ! 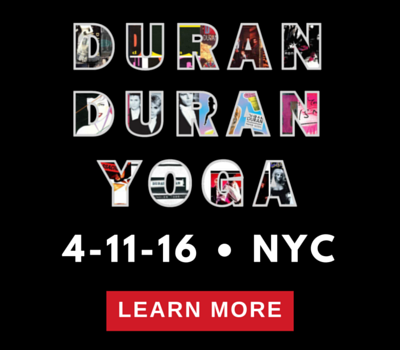 Beside our love of all Duran especially Si , you have shown me how to embrace fitness and enjoy it ! I love trying new exercise classes with u and can’t wait till next week! Happy Birthday my friend . Thank u for inspiring us . You are the best. Happiest Day to You – today and everyday! Happy birthday lady! This is such a great, heartfelt post! I am so glad I met you Melissa! I remember that day in Las Vegas vividly, you walked up and introduced yourself. That’s the day I met so many bloggers who have become some of my greatest friends. And I am pretty sure that is the day the infamous Melissa Bloggers became a thing. 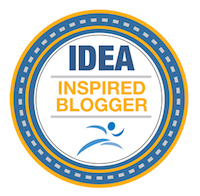 Thank you for giving me the honor of writing a guest post on Featured Friday – on your birthday last year. Wanna know something weird? I added a shout out to you in my Valentine’s Day post without knowing about this post! I love how connected we are that way! DD & SB forever! 80s Rule! Thank you Melissa! I’m so glad that I got the chance to meet you that day in Vegas. That fateful day brought such great people and the world of blogging into my life and I can’t be more grateful. Us Melissas think alike, don’t we? Hope to see you IRL sometime soon. Will you be at BBC Temecula? Thanks Brittany! I hope you are settling in well. I have to catch up on your blog and see how the whole B clan is faring. I miss knowing you are not in NYC though. Forgive the delayed response but thank you for my good wishes. I’m so lucky that social media and proximity brought us together, Lisa! PS – I hope jury duty isn’t making you die a slow and painful death. We are lucky girls! I’m looking so forward to seeing you in just a few weeks. You are my Facebook success story! I’m so lucky we found one another. I look forward to many fitness classes, concerts and years ahead of being friends. Forgive the extreme delay in responding to your comment, my friend and thank you for the wonderful words. I’m so excited you’ll be at FitBloggin’ this year. I missed you last year a ton. I hope to get to see you soon and I’m so happy that a random run in Portland brought us together. I love all that you do for women of “a certain age” (insert snarky sarcasm here). I know I made a fool of myself when we met in SD but I’m really not that awkward (well, maybe I am but…). I hope to see you sometime in the future and I will keep following your blog for certain. I’m honored by your words, Kim and hope we get the chance to see one another in person sometime soon! Thank you for your words. I hope you know that even though I don’t keep up with your blog as much I’d like, you are definitely one of my favorite writers and human beings, in general. I’m glad social media brought us together but it’s those funny coincidences that solidify the friendship. Damn, I wish you lived closer because we definitely need to hang out more. I’m hoping your countdown to 40 makes you excited because I know that fabulous (and likely hilarious) things are in store for you. It’s amazing to think that it was nearly 8 years ago. It seems like forever and yet not so forever ago, right? Thank you for your constant inspiration as a writer, yogi, athlete and woman. I hope that we get to connect in person again sometime soon but if not, I’ll just have to keep up the virtual friendship (which isn’t half bad 😉 ). Enjoy your warm weather in SF and if you need some guest post coverage post surgery, I’d be happy to contribute. Thanks so much Ashley! Hope you had a great Valentine’s Day! I hope you’re also enjoying your new home. Can I say, right back at you without sounding hollow? It isn’t and I believe us Melissas were meant to be in each other’s universe. Thank you Jesica! Hoping all is well with you. PS – One of your former posts keeps tapping my brain to write a Jesica inspired post. It’s coming and when it does, I’ll lyk. 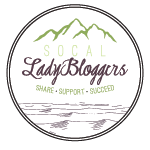 I hope to see you at FitBloggin’ or BlogFest later this year! Nellie: You continue to inspire me and make me smile. Keep up everything you do and are because it’s just fantastic. You, my dear, are what we call “good people”. I know you posted recently and in my hustle and bustle I haven’t gotten to read it (note the very delayed response to this comment) but any time I see your name attached to a post or in my FB stream, I feel a sense of admiration for all that you do as mother, business person and as a strong female who understands strength and passion. I really wish I could, but my son is graduating from high school that weekend. I am so excited for him! I think that event trumps BBC, Meliz. I’d be excited too! Congrats in advance to your son. You know I’ll tag you once I get it written (which seems to be slow going these days).